My hands are so clean that they are disappearing. Allow me to explain. 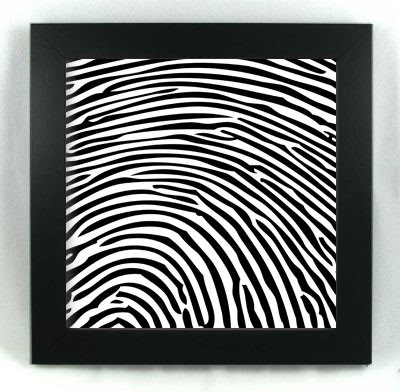 I had my fingerprints taken today for the Texas Real Estate Commission. Everyone is required to do this in order to obtain their license. While the guy was scanning my fingers on the biometric machine he knew almost immediately that the state was bound to reject my prints and make me do them again. Apparently, I don't have enough lines in my fingerprints which the government considers fishy. I wasn't surprised because the same thing happened to me four years ago when they fingerprinted me for teaching. I asked the guy what made my fingerprints different from other people's prints. He showed me his fingerprints and holy smokes was there a difference! He asked if I wash my hands a lot. Do I ever! I admitted that I am a major germophobe and that I wash my hands religiously and may be addicted to hand sanitizer. Evidently, all of this hand washing has washed away the tiny lines in my fingerprints. He explained that I will most likely have to go back and be fingerprinted again once the state has rejected my prints within the next two weeks. "How will my prints be any different in two weeks than they are today?" I asked. He said that they wouldn't be, but that fingerprints like mine usually make the state suspicious of fraud, so they would just have to compare the second set to the first to verify that they are truly my eroding fingerprints. So, not only has all the hand washing and sanitizing washed away germs, it has also washed away my identity. oh my gosh - who knew?! Wow...I wonder if my prints are dissipating due to washing as well, lol...I'm a germophobe as too...I'm like that lady in the commercial that tries to open the public restroom door with her foot, LMAO!